Nestled in one of China’s most productive and scenic river valleys, Gui Lin is a major tourist destination behind the Great Wall and the Terracotta Warriors of Xi’an. The city’s name which means forest of sweet Osmanthus trees because of the natural abundance of the sweet-smelling trees. In Charleston I have a high hedge of Osmanthus, also known as Sweet Olive and the intoxicating fragrance is hard to ignore in the early Fall. 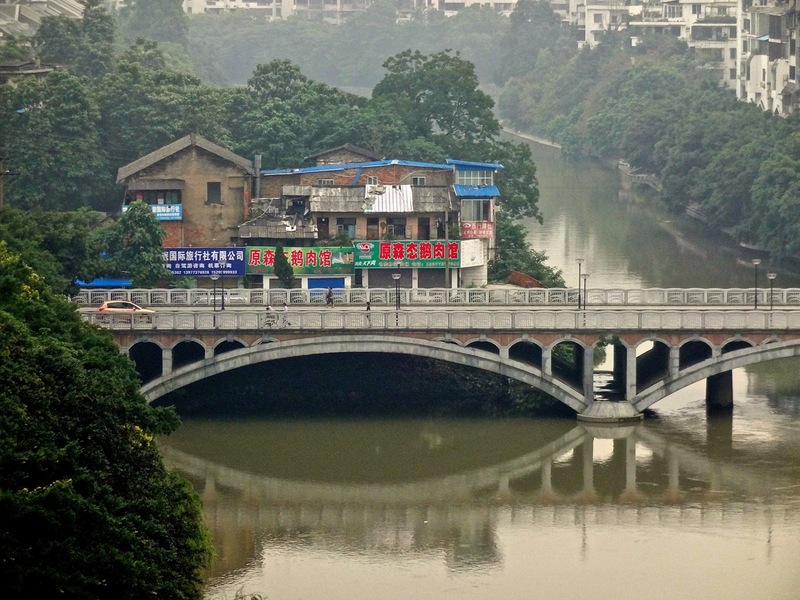 Guilin is known for its diversity of people and has attracted different tribes of people since at least 314 B.C. 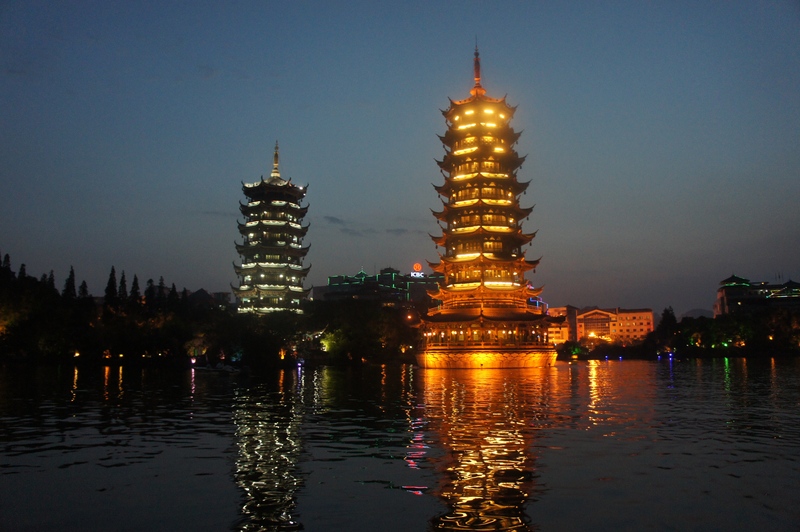 The Moon and Sun Pagodas at the edge of a lake in the middle of downtown Guilin lights up like Christmas every night for tourists and residents alike. 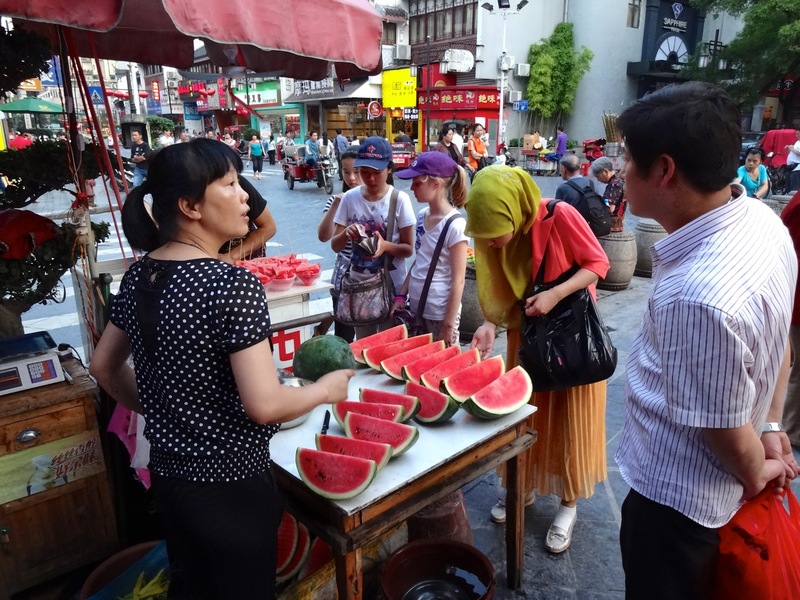 Unlike much of China, the southern portion of the country has a wider diversity of people. 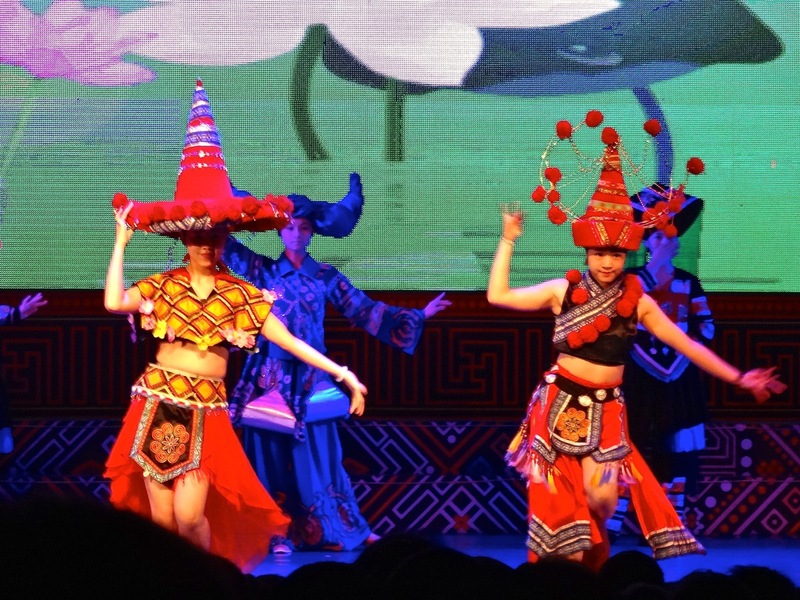 In Guilin, local shows feature the variety of dance, music and customs found only in this part of China. The location along the wide and green Li River is dominated by the chalky limestone karst mountains on either side of the river and the home to many of China’s most scenic and largest caves. The water route takes you through small river villages, waterfalls, and rock formations named for the images they seem to portray like Snail Hill, Gold Hill, Elephant Trunk Hill and Painted Hill of Nine Horses. When President Bill Clinton visited the river in the 1990’s, he couldn’t see any of the horses in the mountain, which locals decried as a sign that the President lacked creativity. Most of the passengers, especially students claimed to see at least 7 of the 9 horses in the mountain. 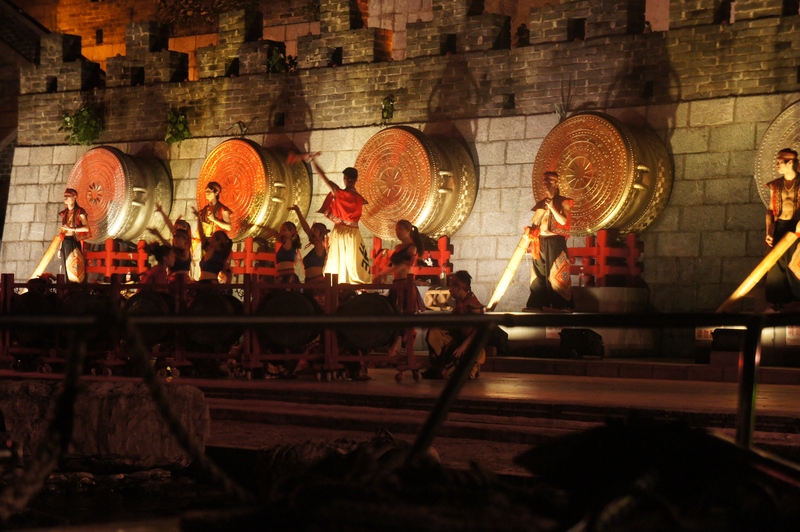 Gongs, drums, and traditional Chinese-stringed instruments are used in the nightly performances given on the shores of one of Guilin’s many lakes. The performances are only visible on the tourist boats that circle the city’s two rivers and four lakes. 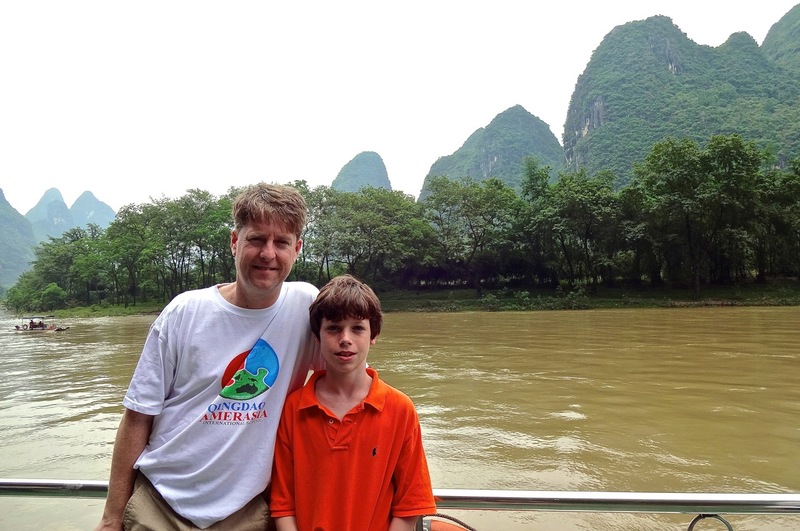 Kevin & Alex on a four hour boat trip down the Li River in southeast China. 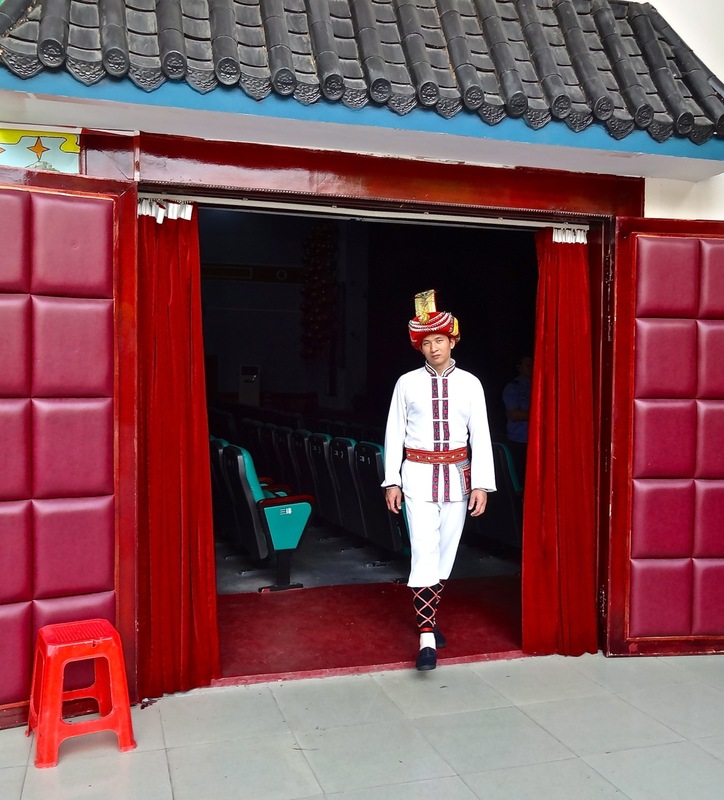 A performer in Guilin wears his traditional costume just before a performance of native music and dance. 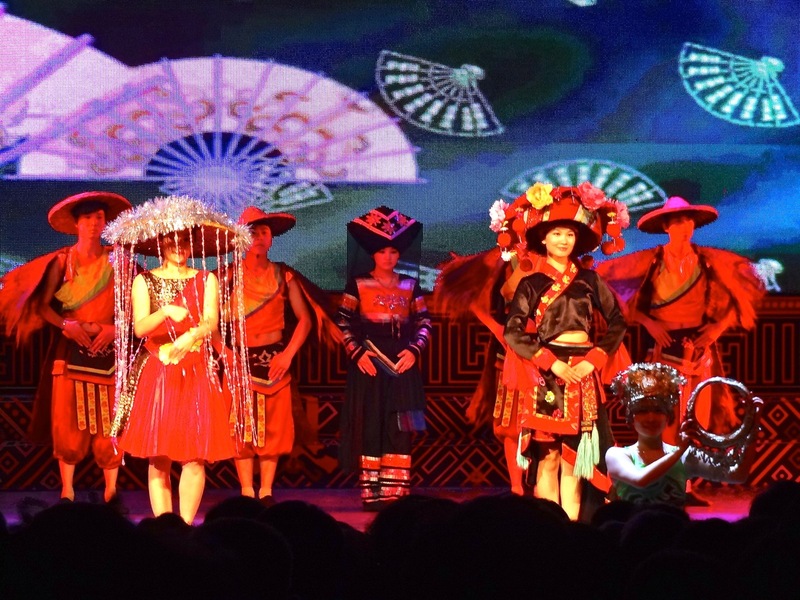 Last week, our entire secondary school visited both Guilin and nearby Yang Shuo on a four day end-of-the-year trip. A highlight was to spend four hours floating down the Li River as well as another two hour night tour of the “Four Lakes and Two Rivers” in town. The waterways are all connected by a series of locks and canals and works quite seamlessly as tourists motor around the entire city by boat. 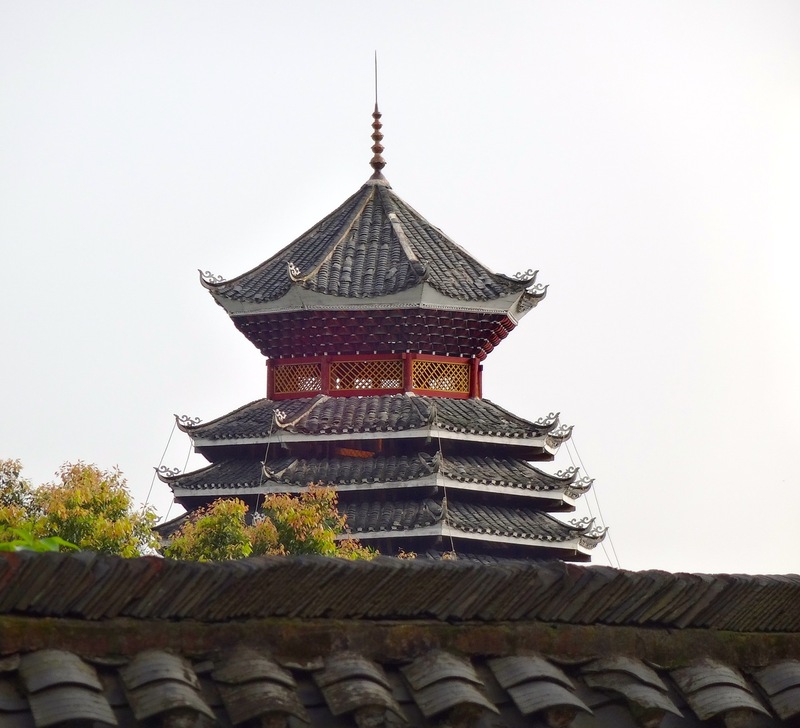 Among the sites we saw were the famed Sun and Moon Pagodas, several live performances, and a beautiful white marble bridge described as being constructed during the Ming Dynasty. Fresh-cut watermelons at the night markets in Guilin. Local markets at dusk is a nightly tradition all across Asia. A traditional drum tower, Li San Jiu, looms over a city park in Guilin. The towers served as a way to both tell time and to warn citizens of invading armies or natural disaster. 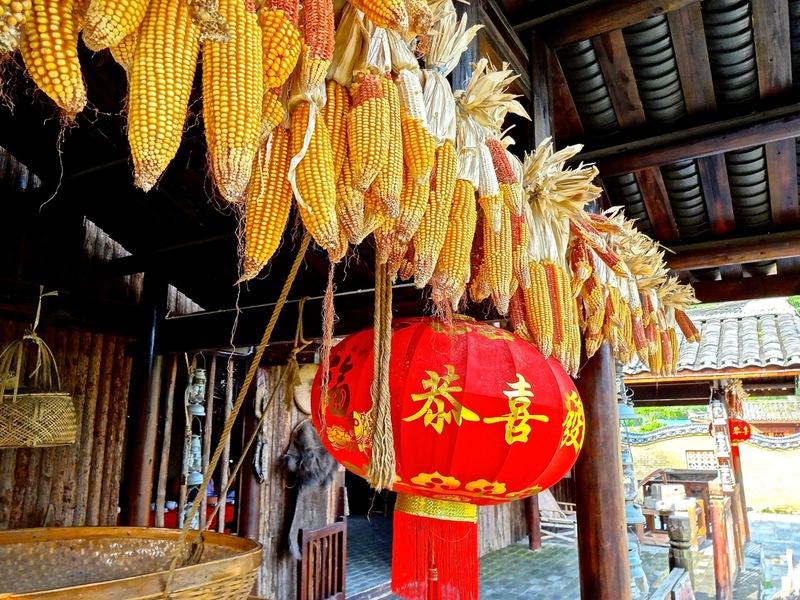 A traditional Ming-era house in Guilin is decorated with hanging paper lanterns and drying corn-both practical and decorative. 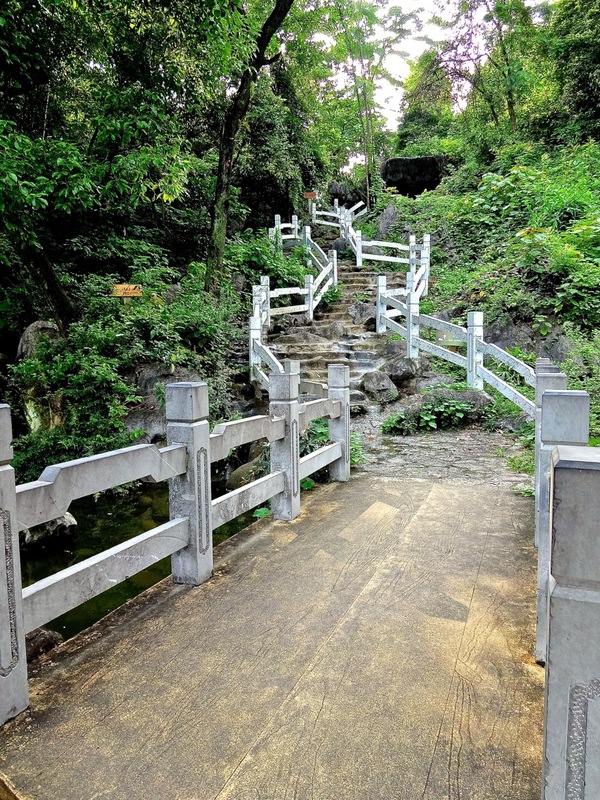 A crooked wooden and stone stairway winds its way up a leafy hill in Guilin. I am always amazed at the bright primay colors used in everyday life throughout Asia. Yes, the west seemed dull compared to China on the topic of color. Western styles use a lot of black and muted colors, but especially in southeast Asia, the brighter the colors the better.